Fine craftsmanship, meant for those who appreciate the beauty of time. 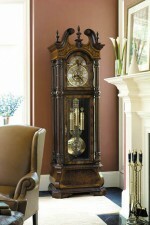 Find out more about Grandfather Clocks, Mantel Clocks, or Wall Clocks. We can special order something from the Howard Miller catalog. Just ask!